In Orlando there is a labyrinth of creeks, rivers, sloughs and backwater bays that provide fisherman with INCREDIBLE inshore fishing. It’s a new adventure every time the boat leaves the dock. The Halifax River, Mosquito lagoon and, a little distance south, the Indian River Lagoon create a very high quality habitat for Redfish, Sea Trout, Snook, and Black Drum. Near the Inlet Spanish Mackerel, Pompano, Bluefish, Flounder and Tarpon slip in and out daily with the tide. 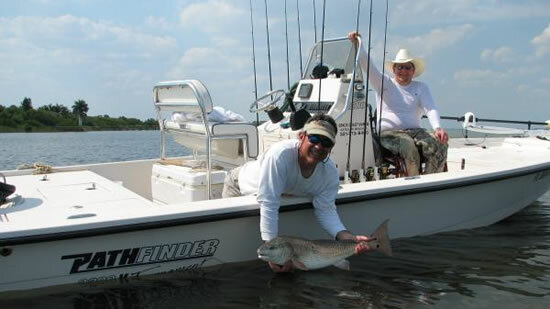 Sight fishing Redfish and Trout on the flats is a great thrill! It is really about stalking the fish or school of fish by following the ripple of their fins on the surface and then ever so quietly moving across the flat water until close enough to make a cast. And of course, your fishing guide always has an eye open for the monster redfish that lurk in the deeper holes. The mullet run is definitely in full swing and the fishing has been excellent from the basin south to the inlet. Redfish, trout, snook, flounder, and more can be targeted with artificials or live baits. Oyster bars, creek mouths, and docks are the primary stops. Some of the flounder have been giants. In addition to the other species mentioned, blackdrum and pompano are also showing up in good numbers. Targeting these species takes a little different approach. The blackdrum will not take an artificial or eat a fish bait, but readily will take a shrimp or crab. Most of the drum are coming off the docks and bridges. Pompano, on the other hand, are most likely to be found on top of shallow oyster bars. They can be seen skipping away on their sides if you happen to come to close. Unlike the drum, they eat both crustaceans and fish. However, when in the river they seem to be only concerned with eating the small brown mussels that grow on the oyster bars. I’ve tried to use the mussels and oysters for bait, but pinfish quickly pick it off. The most consistent bait I’ve found to get them on is a free lined fiddler crab drifted over top of a likely bar. The pinfish will leave the crabs alone for the most part and give you a shot at some of the best eating fish there is. Most of the pompano are between 2 and 5 lbs! Slowly, paradise was being degraded. And the pace was quickening. In many circles, Mosquito Lagoon has been referred to as the “Redfish Capital of the World.” Numerous line-test world records for redfish, as well as for spotted seatrout, have been established in the lagoon’s pristine waters. There is no residential development along the shoreline. No businesses, either. No agricultural runoff to poison the water. No causeways across the relatively narrow lagoon separating the mainland from the barrier island. The lagoon is unlike any other on the east coast of Florida. For 20 miles, lush seagrasses cover flats where depths average less than three feet. In many areas, the water is only inches deep. Redfish and spotted seatrout grow to legendary size. Paradise! For years, anglers have flocked to the lagoon like waterfowl in fall. Boat manufacturers made boats capable of running in the skinny water so that previously inaccessible areas could be reached. Who needed fishfinders or stalking skills when all you had to do was run around on the flats until a school of fish “bumped” with a tell-tale wake? And so what if there was an angler in the vicinity who had quietly poled within casting distance of the fish that had just spooked? The fish would relocate and both anglers could move in on them when they settled down. At least until a third and possibly a fourth angler did the same thing. Then the school might get up and leave the flat, IT IS SOMETHING TO EXPERIENCE! The Indian River Lagoon system runs along nearly one-third of the eastern coast of Florida. It encompasses the trifecta of inshore saltwater fishing areas: the Mosquito Lagoon, the Banana River and the Indian River. These are shallow saltwater estuaries, not rivers in the traditional sense of the word, though two of the three are named as such. They are more akin to saltwater lakes than rivers, with large areas having little or no water flow other than that generated by the wind. Unlike most lakes, however, these lagoons are not landlocked. There is access to the ocean via four natural inlets and one manmade entrance point. To the north is Ponce Inlet, bordered by Daytona Beach and New Smyrna Beach. Next is Port Canaveral where boats can enter the Banana River Lagoon via a lock. About 40 miles to the south is Sebastian Inlet; south of that is Ft. Pierce Inlet and finally, St. Lucie inlet, the southernmost inlet of the group. Fishing in the Indian River Lagoon system offers anglers a variety of species to target and can be enjoyed by all sorts of anglers. 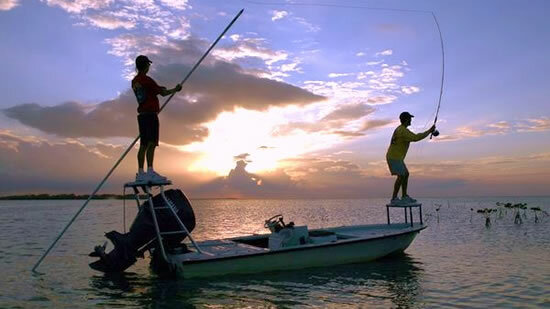 You’ll see fly- and light-tackle anglers in technical poling skiffs stalking fish on the shallow flats; kayak and canoe anglers enjoying freedom from boats in their own no-motor zone; anglers without boats wading near shore; and people fishing from bridges, piers, inlets, docks, and seawalls. Captain Steve’s Statistics is a U.S. Coast Guard licensed and a Capt for Sea Tow. He’s been a tournament fisherman for the past 20 years and looks forward to sharing is knowledge with his customers. Steve does not fish that day, this is your day. He will be there to help and advise you. He has the experienced and techniques that will lead you to catching lots of Bass. The beauty of Central Florida, and the weather that brought Steve from Indiana several years ago. He made many trips to Florida and found it to be some of the finest fishing around. 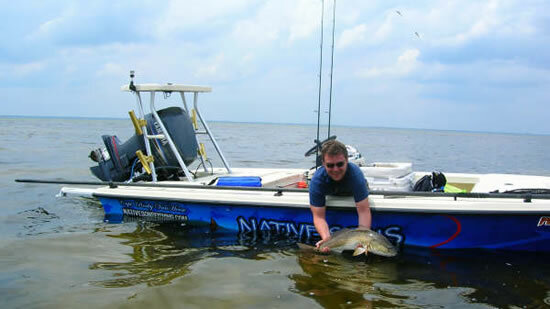 Capt Steve specializes in Bass, Redfish and Sea Trout. He primarily fishes the St. John’s River between Lake Monroe to the South and Lake George, Rodman Reservoir to the North. He also fishes the Kissimmee Chain and Lake Toho, and does multi day trips. Growing up near the shores of Sarasota Bay before the building booms of the 1960s and 1970s, Captain Rocky found a passion for fishing in the clear, shallow saltwater grass flats and pristine mangrove-lined shorelines of the lower west coast of Florida. The purity of fishing resonated deep within his soul: the stillness, the natural beauty of God’s creation, and the lure of the water and the hunt. Captain Rocky is one of the finest fisherman in Florida, and most is know in the Mosquito Lagoon for his superior fishing technique and knowledge! You’ll love fishing with Captain Rocky! Captain Peter’s love of fishing was kindled at the tender age of four when his family moved to Brevard County during the space coast “boom” in the mid-1960s. This spark was fanned to flames as he grew up in and around local waters, taking up surfing and developing my East Coast angling skills through the high school and early college years. In the 1980s, he found another love and settled with her on the beautiful west coast of Florida. This move required me to learn an entirely different fishing environment. For twenty years he honed his West Coast techniques, fishing the mangroves by day and the local bridges by night. Continuing to catch species such as trout, reds and snapper, Peter earned a reputation as a successful big Snook angler. The versatility that comes with forty years of successful fishing experience on both the east and west coasts of Florida. Seasickness is another term for motion sickness and typically manifests itself in the form of fatigue, nausea, and vomiting. 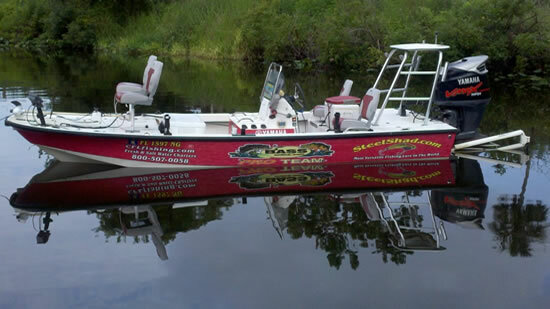 In the Orlando inshore fishing charters there is no need to be worry about seasickness as the water is calm.